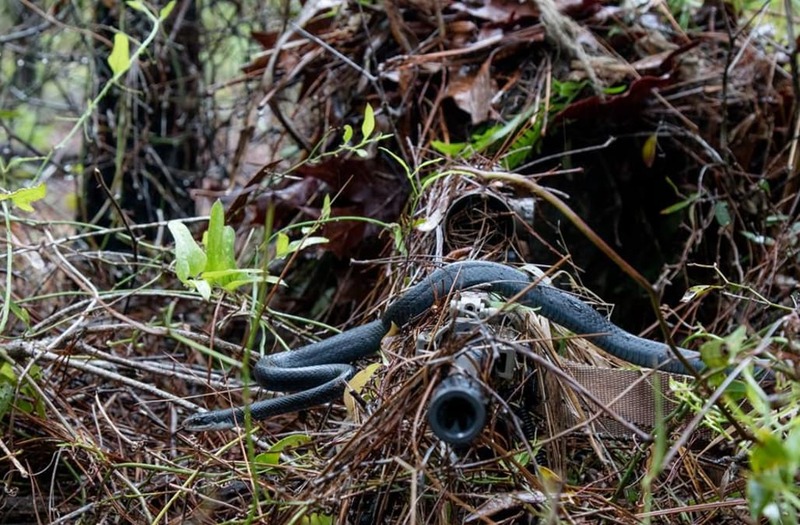 Not even a snake slithering across his gun was enough to distract a U.S. military sniper during training. The stunning photo was captured by Army Staff Sgt. William Frye at Eglin Air Force Base. Junior U.S. Army National Guard Pfc. William Snyder was practicing woodland stalking in a camouflaged suit during a training exercise. And if encountering the occasional snake doesn’t scare you off from serving in the National Guard, well, the page did say there are slots available.